This product is delicious! However, there was something in this that didn't agree with me. 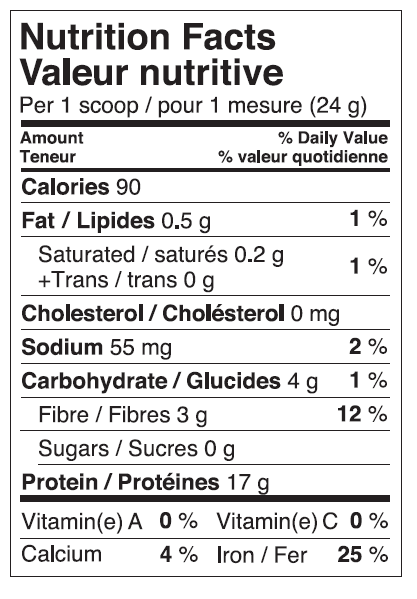 There are very few protein powders that I can tolerate. Delicious. Mixes better than a lot of other vegan proteins I've tried. It doesn't taste chalky but it does taste like a vegan protein. It has a hint of plants, haha. Great buy, I'll buy again especially at 40 servings per bag. Excellent product from raw ingredients and itâ€™s organic. No add colour or artificial sugar. Good taste, highly recommended. I like as it it all food and not weird supplements incompatible with breastfeeding and pregnancy. I usually dislike stevia but in this it tastes great. I use it in the morning when too busy to eat, gives a boost of protein and keeps me full until lunch. I will buy again for sure! I have severe ibs and problems with diarrhea, bloating, gas and pain. I'm also a personal trainer and need supplemental protein in my diet to help keep up energy and muscle mass. 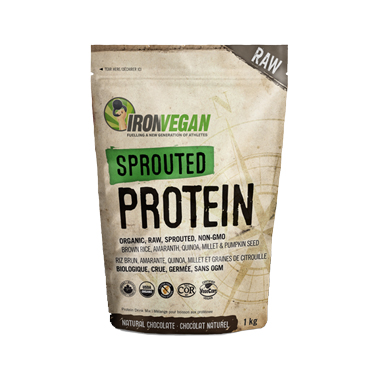 Iron Vegan products are the ONLY protein supplement I've found that checks all the boxes - great supply of energy, helps recovery, tastes great, mixes well and does not bother my ibs one bit!! I can't say enough good things. I drink two servings daily! Worth the price and more!